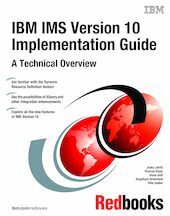 This IBM Redbooks publication provides an overview of the new functions and enhancements in IBM Information Management System (IMS) Version 10. IBM continues to enhance IMS integration, manageability, and scalability. This book is intended for individuals who are migrating their IMS systems to IMS Version 10 and provides the essential necessary information.